The director of the aid group that led the effort to get South African teacher Pierre Korkie released by al Qaeda captors in Yemen told CNN’s Christiane Amanpour on Monday that his organization was unaware Korkie was being held with U.S. hostage Luke Somers. “We also have the same problem as the Americans, we also didn’t know where Pierre was being held, we didn’t know he was with Luke Somers,” Imtiaz Sooliman, founder, director, and chairman of Gift of the Givers, told Amanpour. Korkie and Somers, an American photojournalist, were both killed on Saturday in a failed U.S. rescue mission after the team on the ground “lost the element of surprise,” a senior State Department official told CNN. The official also said the Obama administration was aware there were two individuals at the site but did not know one was South African or that negotiations were ongoing for his release. On Friday, a team of tribal leaders was finalizing arrangements to release Korkie, Sooliman’s relief group said in a statement. Part 1: A man whose grandson as well as his jihadist son Anwar al-Awlaki were killed in separate U.S. drone strikes. 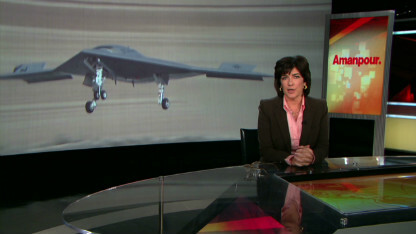 A discussion about U.S. drone strikes killing American citizens. Two years ago, Nasser al-Awlaki wrote a letter to President Obama. His request was simple: Please do not kill my son. He never got a response. Last September, his son, Anwar al-Awlaki, an American-born al Qaeda leader, was killed by a U.S. drone in a remote area of Northern Yemen. Two weeks later, his 16-year-old grandson, Anwar’s son, was also killed, in a separate U.S. strike hundreds of miles away. The father of jihadist Anwar al-Awlaki discusses how he feels about his own country of Yemen working with the U.S. in drone strikes. Both his son and sixteen-year-old grandson were killed in these types of targeted attacks.